Major East Valley Mall Food Court Location For Sale at a Low Price! Have you been looking to get into a Mall food court? Well here is a rare opportunity to do so. THE BUSINESS: This great burger and sandwich shop has been a fixture in this major East Valley Mall since 1992. This is a prime location directly at the entrance to the Food Court and the mall stores. 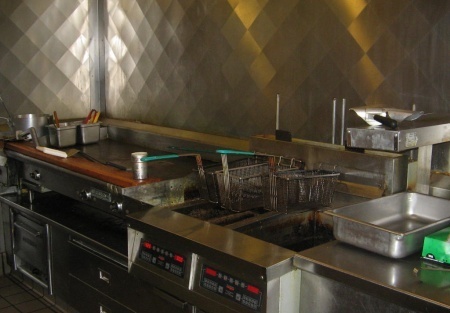 The mainstays on the menu include great burgers, hand dipped shakes, crisp fries and more. This is the only burger place in the food court. This is an asset sale and at this price please don't ask for financials for other than and understanding of the restaurant's operating cost history. THE LEASE/LOCATION: The rent is fixed at 10% of sales which include all the CAM charges. Did we mention the hundreds of seats available in the food court area too. There are thousands of daily visitors to the mall and hundreds of mall store employees to draw from. THE STORE: Everything you need to operate your new store is in place. This store is fully equipped and ready to go. REASON FOR SELLING: The owner just went through a divorce and needs to earn more income as a result. Revenues have been steadily increasing for this business. The owner is anxious to make a great deal and has priced it to sell. The last business to sell in the Food Court went for thousands more and did not have twenty years of history or loyal customers. Come and have a great burger and shake and take a look at this great opportunity. Please don't disturb the owner. AMAZING LEASE! Rent is 10% of Gross Sales no minimum!! !